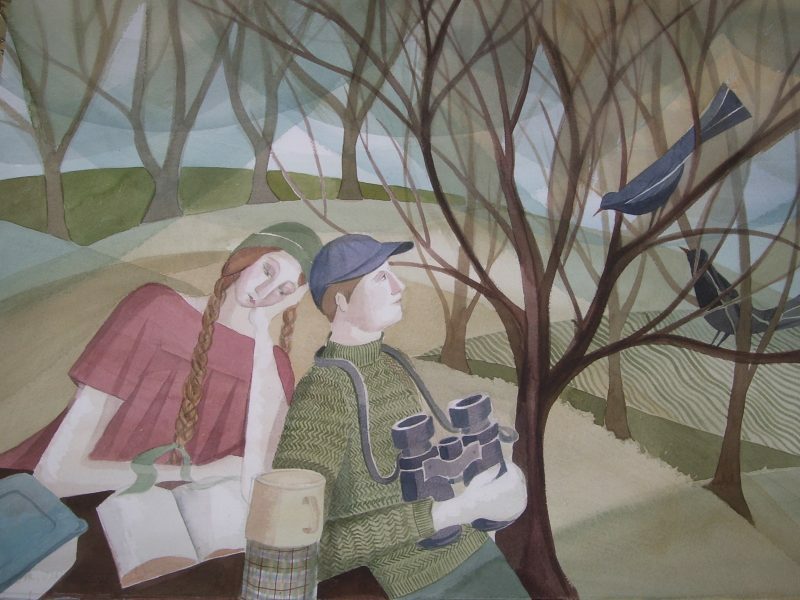 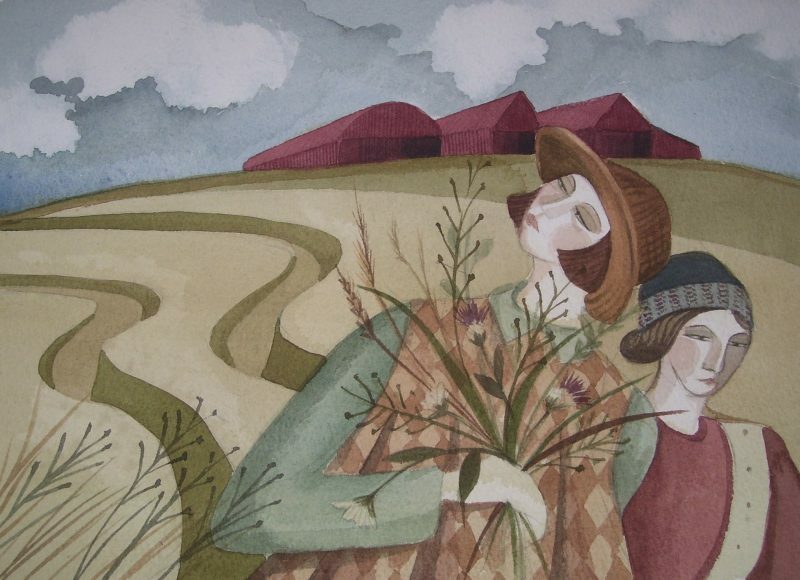 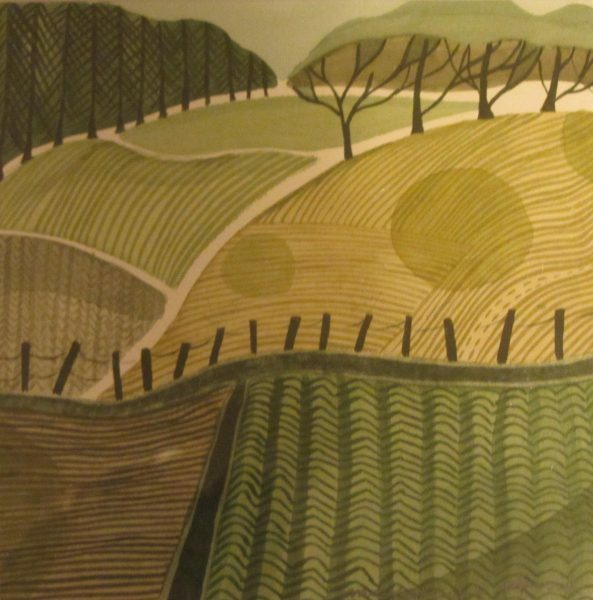 My latest series of watercolour paintings have been inspired by country walks, farming and fields. 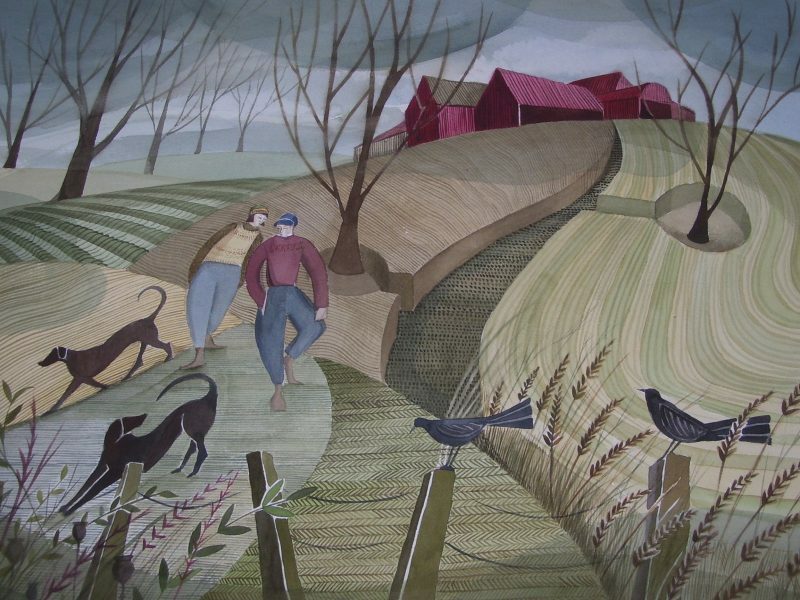 I try and capture the connection between ourselves and the landscape and use old barns, patterns and pathways as inspiration for imaginary journeys. 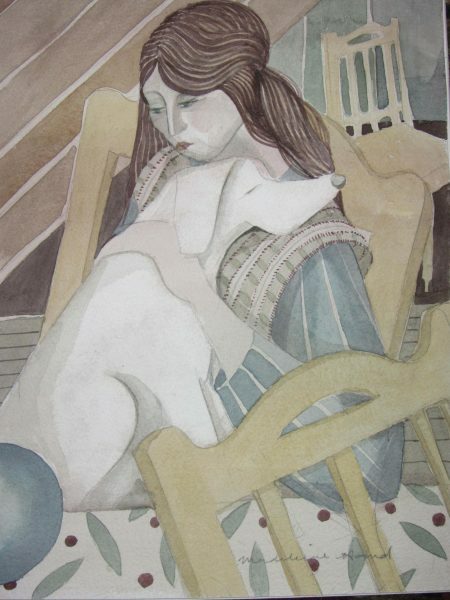 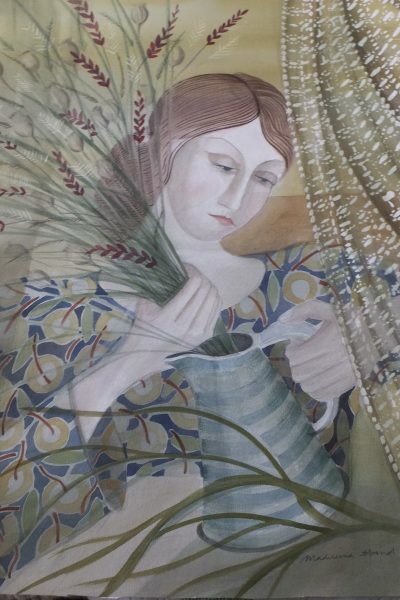 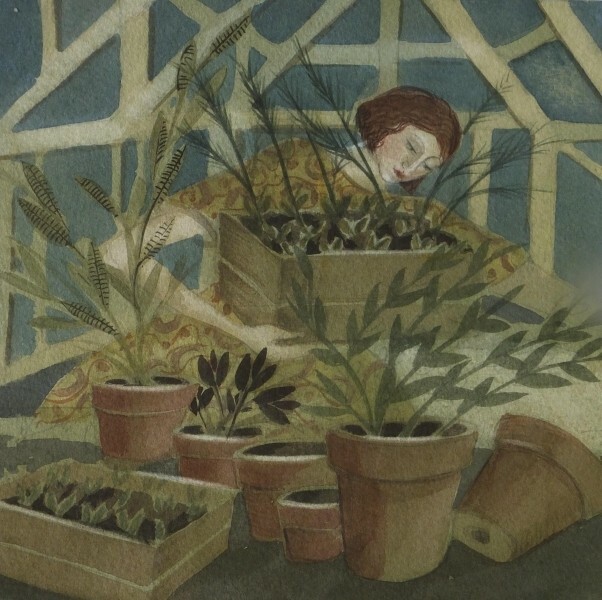 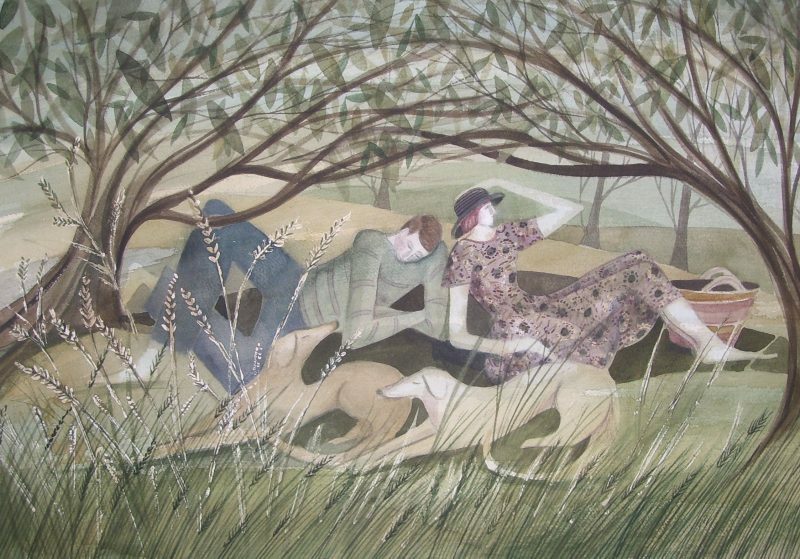 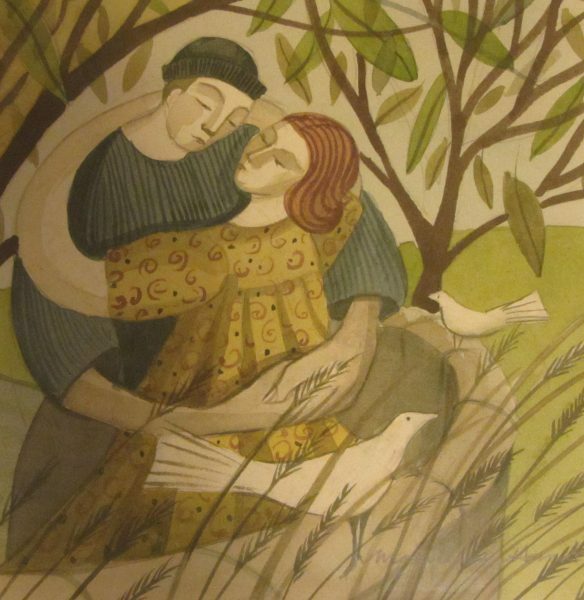 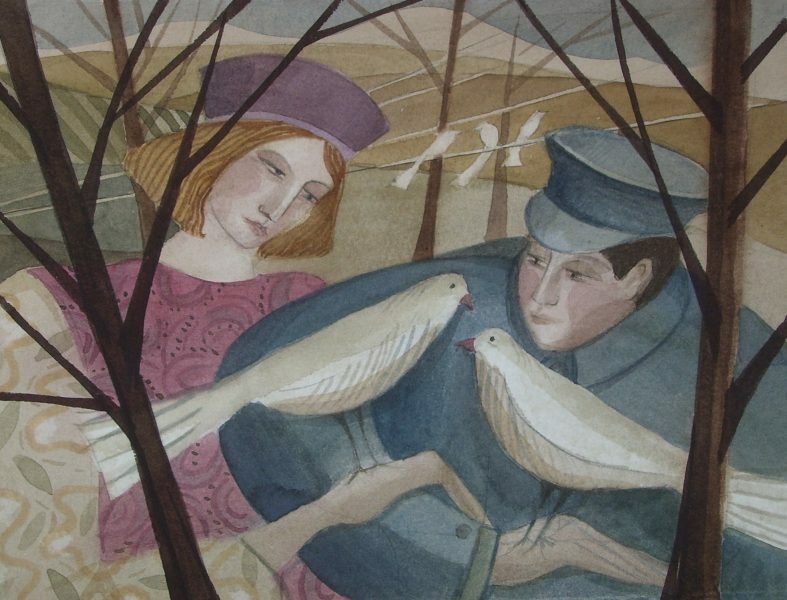 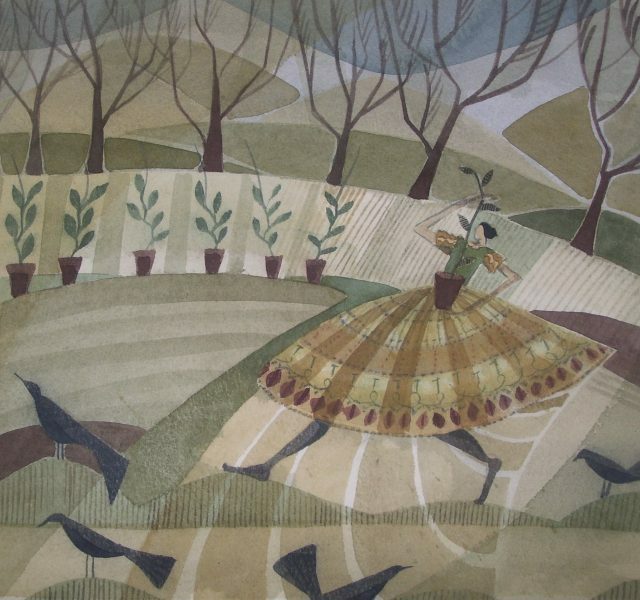 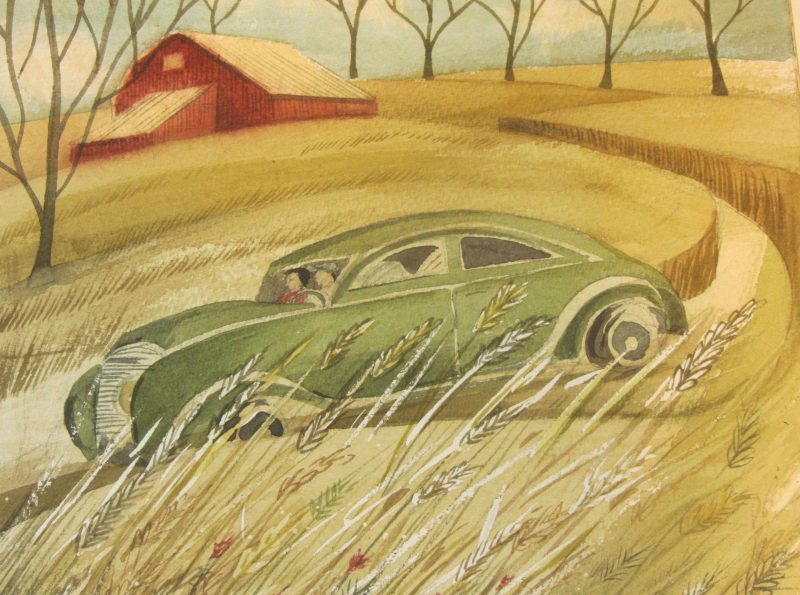 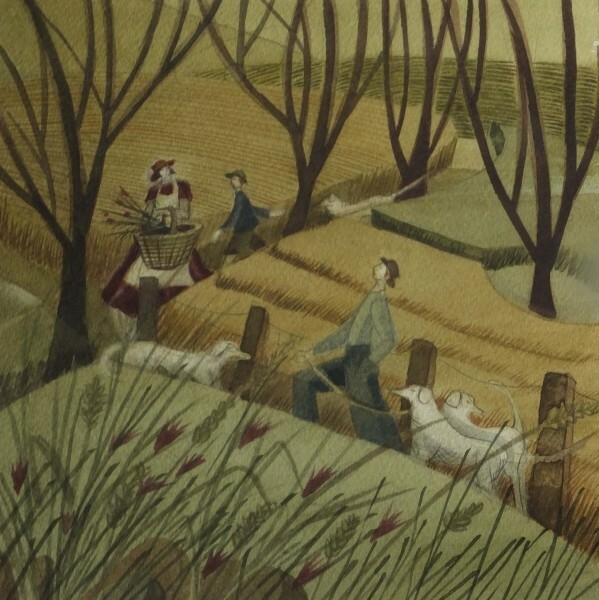 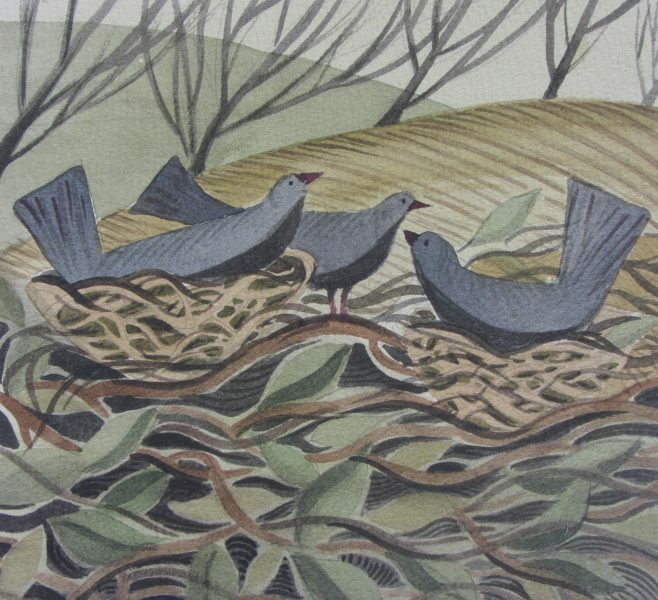 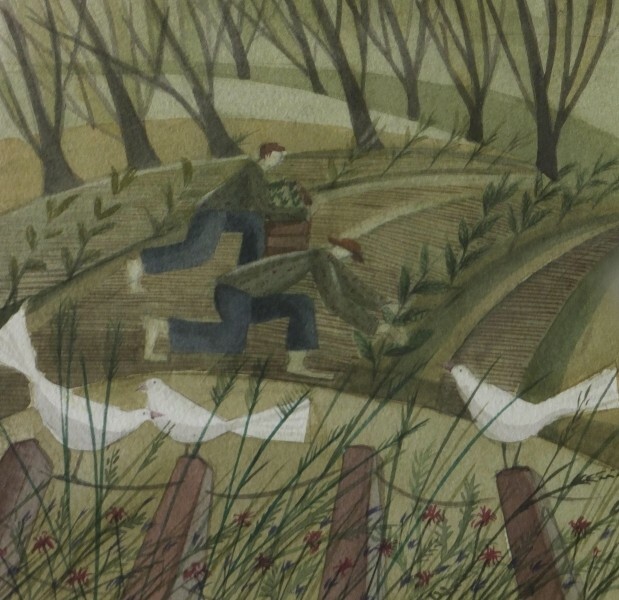 I have always loved the watercolours of Eric Ravilious, and the lino cuts of Robert Tavener and Sybil Andrews. 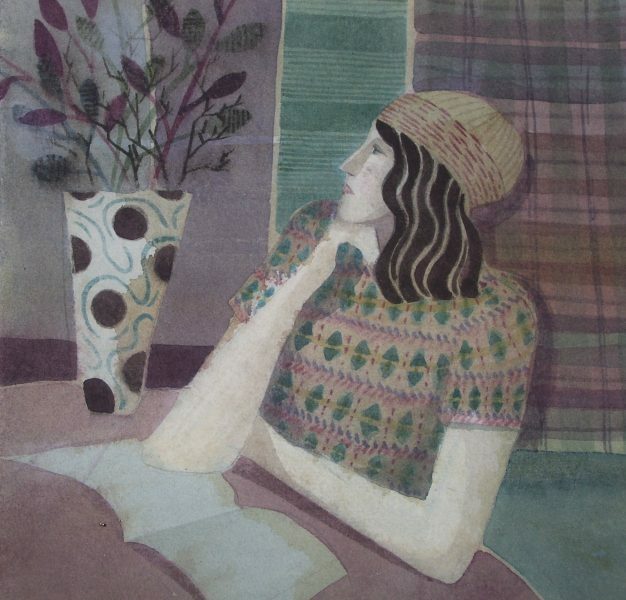 More recently I have discovered the figurative paintings of the American artist Will Barnet. 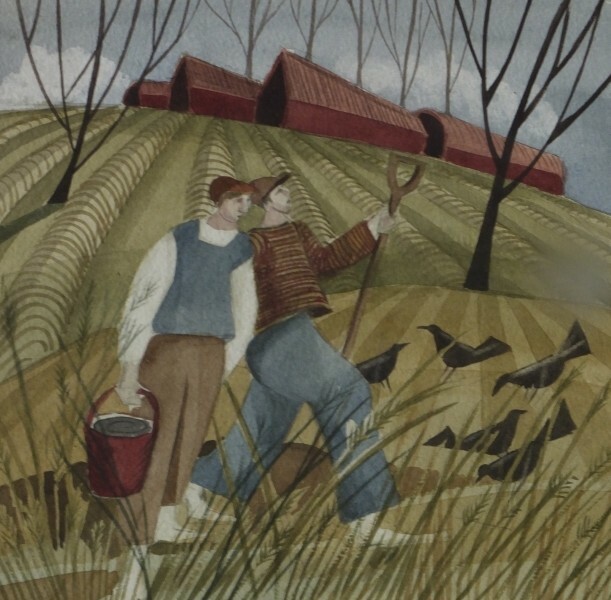 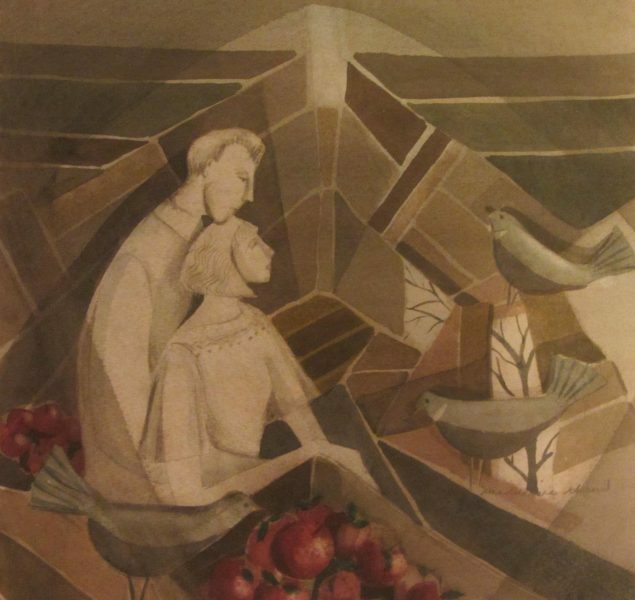 I love the simplicity of his compositions and the mood he evokes.